While trying to remain impartial and objective, there was only ever going to be one act to open this review and be the lasting legacy of Country to Country 2014. Even though expectation and anticipation was high, the reality of the Dixie Chicks London return could not have been a starker reminder of why they were, and still are, a highly respected country music act and unilaterally responsible for the literary indulgence you are reading. 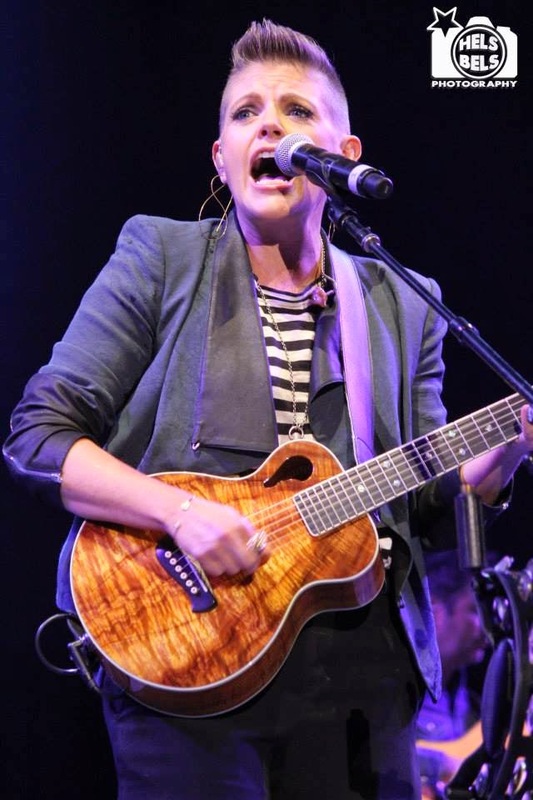 For a solitary hour on the Saturday evening of this 2 day festival, Natalie, Martie and Emily enchanted a sold out arena with a spellbinding display that not only gold-framed their talents for your memory bank but also defined the directional path of their career. At 7.30 on Saturday 15th March the Dixie Chicks were back. By 8.30 they were triumphant. 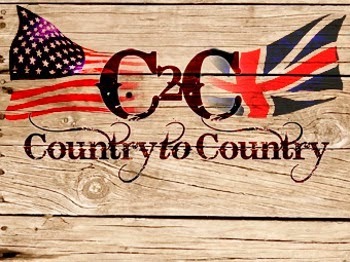 For the second year running, only the Saturday of this 2 day festival, which brings the cream of mainstream US country music to the UK, was attended. However with all due respect to the four artists appearing on Sunday, from a personal perspective they would have had a tough task surpassing the 4 hour pleasure of being in the presence of a certain Texan trio along with the excellent Martina McBride, Dierks Bentley and Zac Brown Band. The first three were right there at the outset of my country music journey, while it has been an intriguing experience discovering why the latter could become a great contemporary Americana rock band. 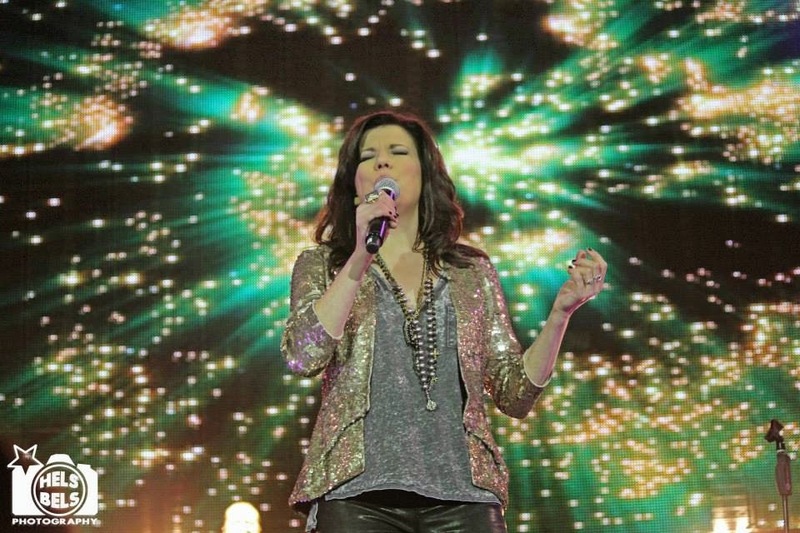 Martina McBride possesses one of the most powerful voices in country music and has taken many a great song to the summit of genre appreciation. ‘Independence Day’ is one of the finest country songs ever written and we have been privileged here in the UK to listening to many versions sung by its writer. There is little doubt that Gretchen Peters herself would have had a little grin as Martina closed the opening set of this festival with an absolutely stunning version of the song. The day may have belonged to the Dixie Chicks but the champagne song moment of the evening was the honour of Martina. For the remainder of her time on stage, there was a leaning towards the years at the top of the country charts with ‘A Broken Wing’, ‘Whatever You Say, ‘Love’s The Only House’, ‘Wild Angels’ and another Gretchen Peters song ‘My Baby Loves Me’, all featuring. While there may be a few eyebrows raised to the subject content of her latest project, a non-country covers album, Martina related the release to that of TIMELESS in 2005 where she delved into the back catalogue of traditional country. Regardless of any negative responses, and from this evening’s evidence ‘Suspicious Minds’ sounded pretty good, Martina has earned the right to experiment at this point of her career. Radio may not call anymore but the talent clearly remains. 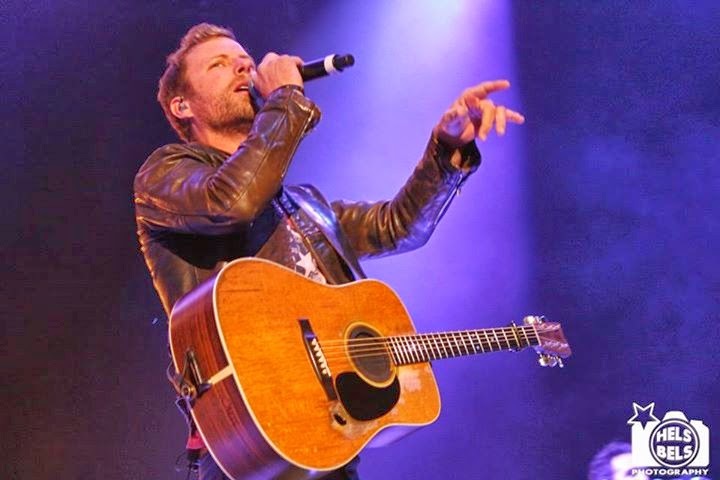 Back in 2008, Dierks Bentley owned the stage of a tightly packed Borderline in central London. Tonight he owned the cavernous O2 Arena with a display that merged the very best of new country with an honesty and integrity essential to keep the evolution of the genre on a sane track. Dierks can rock it with the best as witnessed in ‘Sideways’ and ‘5-1-5-0’ but the constant reference to banjo fiddle and steel saw the words backed up with actions on tracks such as on ‘Up On The Ridge’. The genuineness of his musical journey from Arizona to Nashville was perfectly portrayed in ‘I Hold On’ from his excellent new album RISER. Engaging humour is never far away from Dierks who certainly had the audience in the palm of his hand for the hour-long set. For me, any songs from LONG TRIP ALONE are welcome and when he selects ‘Free and Easy’ and ‘Every Mile A Memory’ total connection is made. The reaction Dierks Bentley received here can only inspire him to not wait another six years to play the UK again. 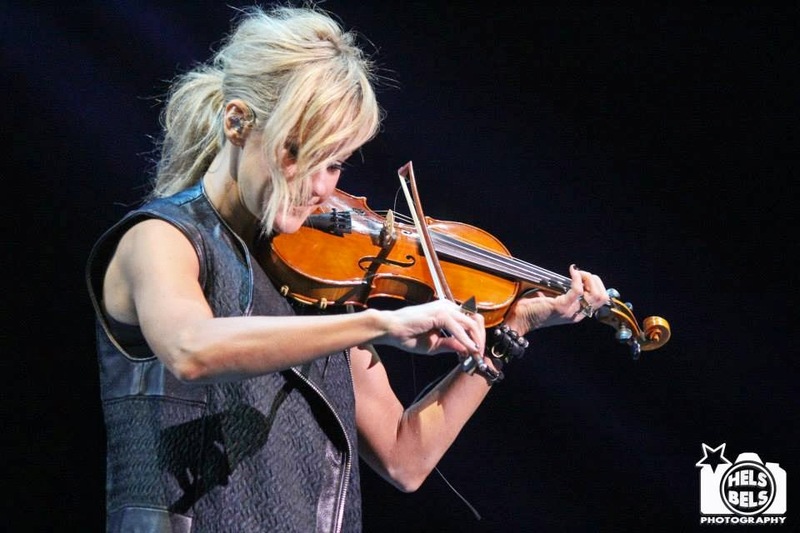 With regards to the date of a last UK appearance, it has been eight years since the ‘return to the scene of the crime’ for the Dixie Chicks. Of course their hiatus from band activity has been the contributing factor but the years were rolled back as the ‘finest female trio in the history of country music’ served a luscious helping from all four studio albums. ‘Earl’ continues to meet his fate, those who so wish, are again invited to be whisked away by a ‘Cowboy’ and we can all rejoice in the freedom offered by the vision of ‘Wide Open Spaces’. Perhaps the most fervent moment of the ‘return of the Chicks’ is that Natalie is still as defiant as ever which was passionately displayed in an emotional version of ‘Not Ready To Make Nice’. 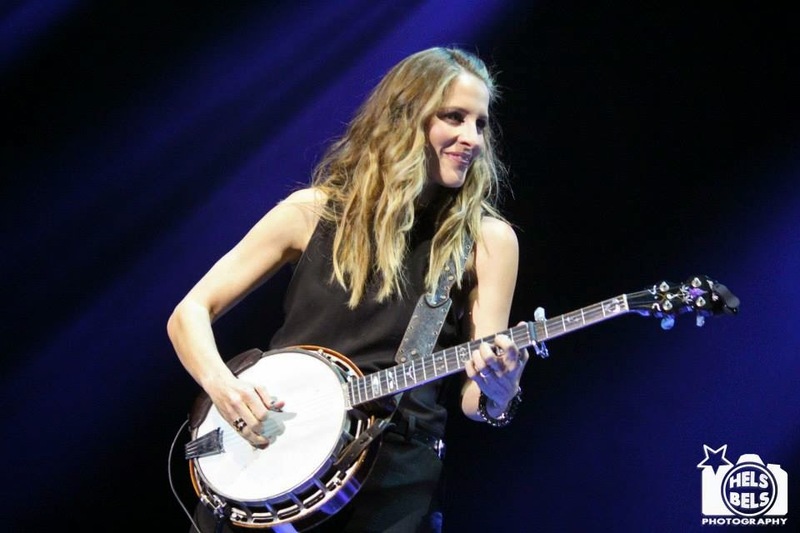 However while Martie fired up the fiddle with the spirit of the past and Emily made the banjo as relevant as it should always be, there was still evidence as why it was inevitable that times would change for the Dixie Chicks. The shadow of Rick Rubin loomed over ‘Lubbock or Leave It’ and it was interesting to note that Dylan’s ‘Mississippi’ hasn’t left their set list over the years. Natalie was never going to be shackled by the country music industry regardless of the ‘incident’, best exemplified in her excellent solo album of last year, and her performance tonight in London highlighted why she is one of the best female band leaders of any genre. The interesting inclusion of Miley Cyrus’s ‘Wrecking Ball’ showed that a desire to experiment is still present. While this magnificent hour was always going to be defined by a dose of nostalgia, pondering the future of the Dixie Chicks is as intriguing as it has ever been since that eventful day eleven years ago. 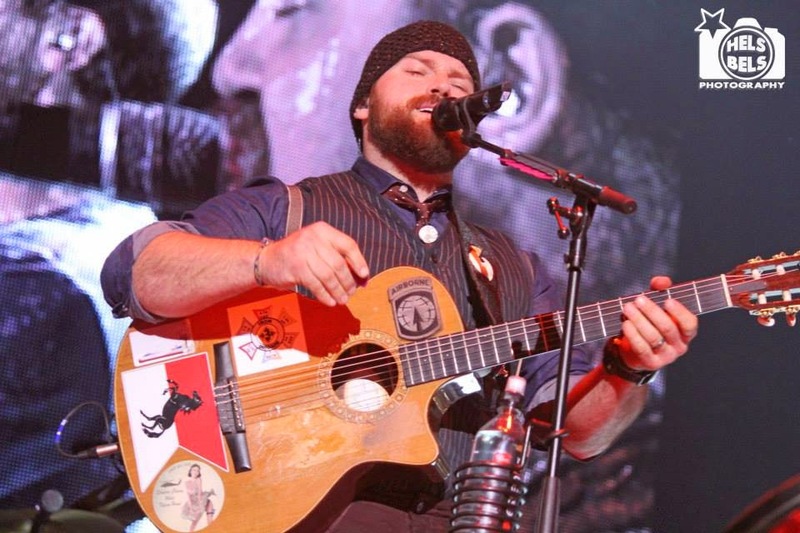 After three stellar sets by country music artists, each with at least a decade of UK appreciation, it was always going to be difficult for headline act Zac Brown Band to follow. While they have been making inroads into the UK via alternative routes to the country music scene i.e. Hyde Park and Glastonbury gigs, there was significant evidence around the arena of their brand of music being not always to the taste of many present. Despite a growing gradual trickle of arena exits during their hour and three quarter set, it has to be said that the Zac Brown band are one hell of a live act who do call on many other styles to fashion their sound. In fact, as earlier said, they have the potential to become one of the world’s great Americana influenced rock acts over the next decade. There are certainly roots and folk rock elements to the Zac Brown Band and Jimmy De Martini is one of the finest fiddle players witnessed live in this genre. There is also a high degree of Georgia-style southern- tinged country music found within the band who you get the impression are never going to dwell on a single sound that has in the past encompassed reggae, Latino, regulation rock and some straight down the middle pop ballads. All were on display this evening in tracks such as ‘Island Song’, ‘Toes’, a cover of Metallica’s ‘Enter Sandman’ and ‘Goodbye in Her Eyes’. There was definitely more of a rock feel to their live set than what is found on the last three albums which have proved very popular country releases. Their latest project with Dave Grohl, which has produced four superb songs to date, has given their sound a more profound edge. Three of the four tracks were aired tonight with 'Let it Rain’ being the stand out song of the trio. Segments of the Zac Brown Band set may have tested a few people but fortunately Zac keeps ‘Colder Weather’, ‘Knee Deep’ and the highly popular ‘Chicken Fried’ up his sleeve to woo an audience and these effortlessly brought the O2 back to life. By the time the band returned for the encore, attired in skeleton suits and masks, to leave us with ‘Uncaged’ and the standard fiddle number ‘Devil Went To Down To Georgia’, there seemed to be a more appreciative feel to the arena. So it was inevitable that the efforts of Martina McBride, Dierks Bentley and Zac Brown were going to play second fiddle (excuse the pun) to the Dixie Chicks in my eyes, but they demonstrated to being a supporting cast second to none. All three have had their appreciation elevated to an even higher level than before and it is a credit to the organisers that such as a line up graced a UK venue. To sum this evening up, whether it’s as the Dixie Chicks, Court Yard Hounds or Natalie Maines solo, there is a plea for this trio to keep making music and maintain the UK market on their radar. Country to Country 2014 was enriched by their presence.